Yang Mei June was born at the tail-end of the last Qing dynasty, which lasted from 1644 to 1912. She only narrowly survived the Sino-Japanese War (1937–1945) by pretending she was dead, being consequently buried alive and later digging her way out. 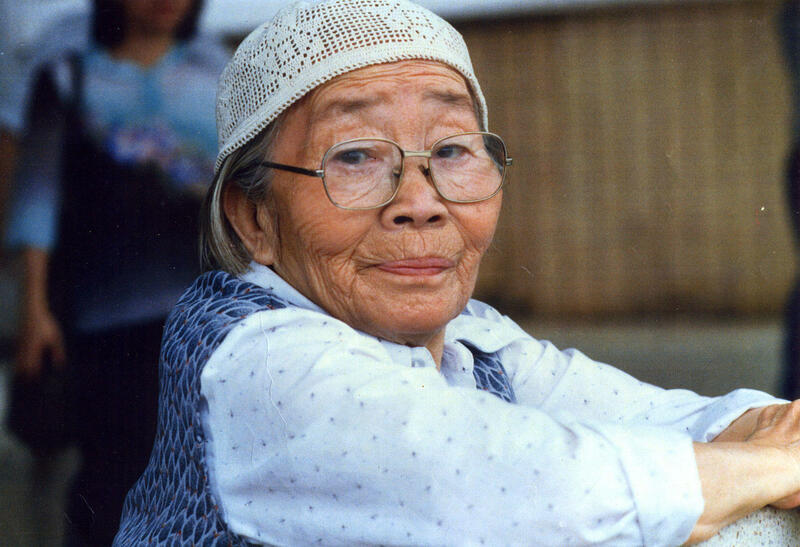 She later survived persecution throughout Mao’s Cultural Revolution (1966-1976).What made her survival all the more crucial, was that Yang Mei June was the 27th Grandmaster of the Da Yan (Wild Goose) Qigong system, once part of the Daoist Kunlun School. She was highly respected in the Qigong and Internal Martial Arts circles. Qìgōng - combining the two characters Qì 氣 and Gōng 功 - is commonly translated as ‘Life Energy Cultivation’. It is a relatively modern term (coined c.1950) to encompass a range of exercises and techniques that can be traced back to more ancient times (c. 4,000 years ago) to those of Daoyin / Leading & Guiding 導引 and Yǎng Shēng / Nourishing Life 養生. Over its vast history and geography, China evolved hundreds of different schools and styles of what we now call Qigong, each with their own blend and emphasis of techniques; be it medical, martial, spiritual, philosophical. Each system infused with Daoist (and later Buddhist) understandings of the body, nature and the cosmos and, in some cases, commonly taking on the characteristics and unique qualities of certain animals. Some time during the ancient Jin Dynasty (265–420 C.E. ), Daoist monks living high in the Kunlun Mountains (on what is now China’s southern border with Tibet) developed a system of health and life-cultivation exercises, known today as Da Yan (Wild Goose) Qigong. The Daoists closely observed and followed the ways of nature and were inspired by the bar-headed geese, which also inhabited the Kunlun Mountains. 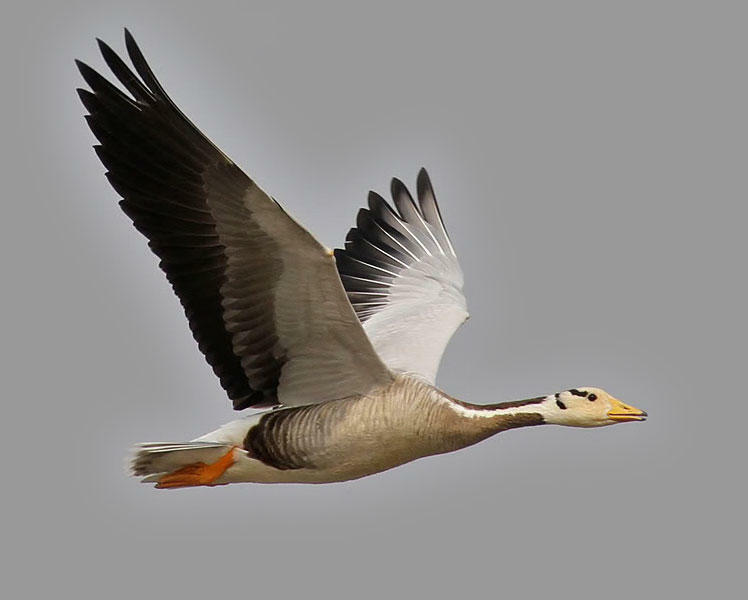 Bar-headed geese Da Yan (literally = ‘Great Goose’) are extraordinary: They migrate some 2,000-3,000 miles over the Himalayas.They fly higher than Mount Everest - having been recorded at 33,000 feet - in tail winds of up to 100 mph! Their lungs recycle their breath, so that every available bit of oxygen is used. These great geese are long-lived, stay together through all seasons and mate for life. of nature, principles of the Dao, medicine, martial arts, and their insights into the mind-body gained through years of empirical science and deep meditation. In time, the Kunlun Da Yan Qigong system grew to include over 70 different sets of exercises, both dynamic (Dong Gong) and still / meditative (Jing Gong). The Kunlun Da Yan Qigong system was secretly passed down, generation to generation, through a succession of Grandmasters. In 1978, at the age of 83, the late 27th Grandmaster Yang Mei June, having experienced the suffering of the Sino-Japanese War & the Cultural Revolution, broke with tradition - and began teaching the exercise to the general public for the greater benefit of humankind. In 1985, following a post-Mao explosion in Qigong practice and popularity (the so called “Qigong Fever”), a state-run National Qigong Science and Research Organisation was formed to investigate the thousands of styles of Qigong and self-proclaimed Masters that were popping up everywhere. In 1998, they finally published a definitive list of only eleven (11) styles that they deemed demonstrated authenticity, scientific validity, curative effects, medical case histories and safety. Wild Goose Qigong was at the top. Today, Wild Goose Qigong is widely recognised as one of China’s most ancient and profound systems. Originally comprising over 70 sets of exercises, there now remains around 28 of these in the public domain. These combining both moving (Jing Gong / and meditative (Jing Gong) exercises, including the more commonly practiced forms such as; 1st 64, 2nd 64, Pai Da (Patting) Gong, Soft Palm and Wu Xing Jing Gong. Whilst the system has incorporated some martial forms from the Kunlun School (e.g. Dayan Fist and Dayan Sword), Da Yan Qigong’s core value and greatest potential lies in it’s application as a medical qigong for health - bestowing preventative and curative effects to those who practice. "I am a health care practitioner and have always had an interest in Chinese Martial Arts and Qigong. Having two children now, I really appreciate the time I have with them and want to be agile and able to continue to be an active part of their lives for years to come. This pushed me towards Wild Goose Qigong. Practicing Wild Goose Qigong has much improved my stamina, confidence and overall well-being. I enjoy training and feel invigorated even after a short practice. 1-to-1 Online Coaching Sessions with Gregg have been great as they really pointed out where I had made errors, improved my skill and provided great motivation to take it on to the next level. I highly recommend Gregg and his online Da Yan Academy - the videos are great and the explanations of the moves really easy to follow. " "I'd recommend Gregg to anyone interested in learning authentic Wild Goose (Dayan) Qigong. He is a good instructor. 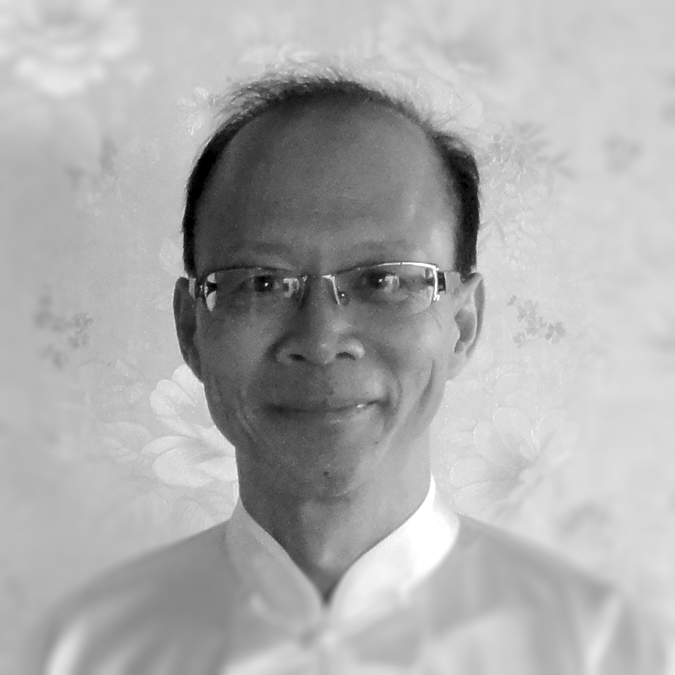 He has good knowledge of Dayan Qigong and TCM and is both calm and patient when he teaches. After spending a couple of years learning with Gregg, he helped me to go to China to learn from his teachers. It was something I'd always dreamed of! 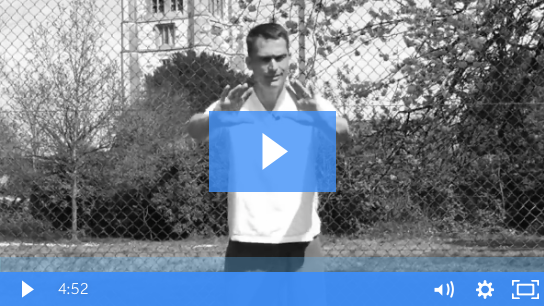 Dayan Qigong is one of the few qigong systems that still carries a lot of depth! It never seizes to amaze me as I continue to explore its movements and teachings! " 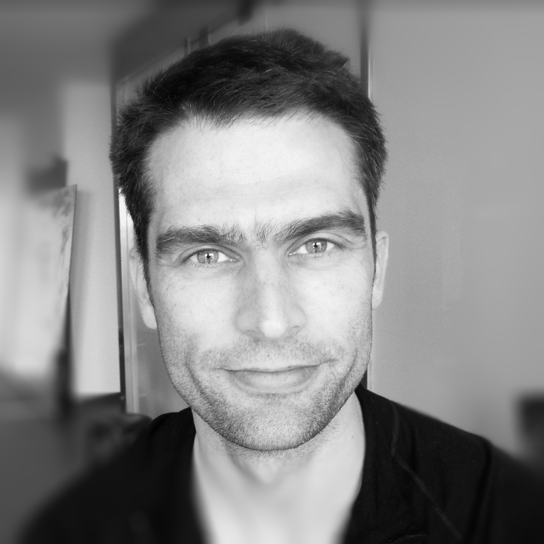 Gregg Wagstaff is Founder of the Da Yan Academy and Instructor for the Da Yan / Wild Goose Qigong Association (UK) since 2002. He trained in UK and China under Master Chan Kim Fung (Hong Kong) and Master Wang Tai Li (Beijing). From 2004 - 2017 he ran GreggsClinic.com - using Traditional Chinese Acupuncture, Tui Na Medical Massage and Qigong to treat pain and dysfunction, and achieve optimal health and wellness for his clients. Today, Gregg combines all of this experience to offer health coaching, 1-to-1 training, classes, workshops and retreats. Wild Goose Qigong remains at the core of his personal and professional practice. He created the Da Yan Academy as a dedicated platform to collate, research and teach authentic Wild Goose Qigong, world-wide. In 1994, Chan Kim Fung 陳劍峰 was accepted as an “in door” student of the 27th Generation Grandmaster, Yang Mei June. She called him 二陳 (Chen the Second). In 2000, she appointed him as ‘Overseas General Manager’ of the Da Yan Qigong Headquarters (established in 1979) in Beijing. Master Chan took early retirement to honour Yang Mei June's request, enable his study of Traditional Chinese Medicine and further promote Wild Goose Qigong. 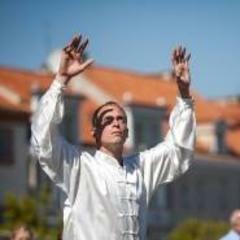 He is also Chairman of the Da Yan Qigong Association in Hong Kong and UK. Wang Tail Li 王泰力 was accepted as a “in door” student of Yang Mei June in the early 1990’s. This was the beginning of a close 10-year student-master relationship that lasted right up until her passing in June 2002 at the age of 106. During this time the Grandmaster Yang passed her knowledge to her disciple Wang and, in he also became her carer. In 2000, she bequeathed him the Da Yan Qigong Headquarters. In 2017, Master Wang and Master Chan co-authored a book on the Wild Goose Qigong’s 1st 64, including case studies and therapeutic applications. 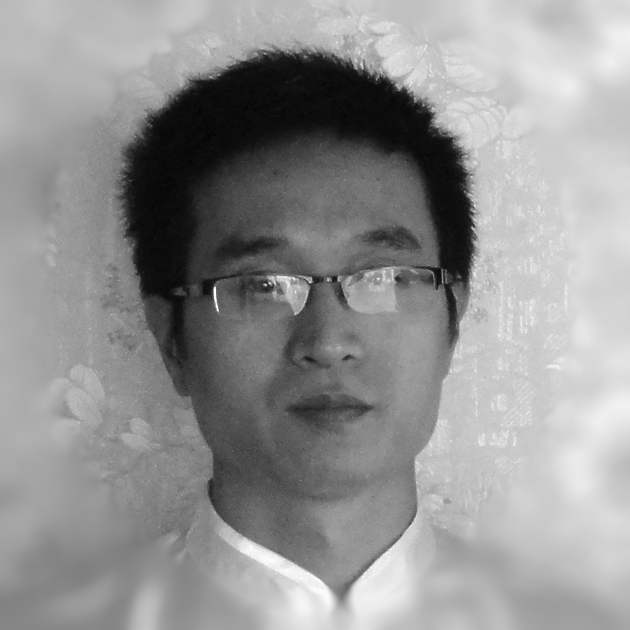 Master Wang is now based in Shenzhen, running a clinic and also teaching in Hong Kong. Here here integrates his high level Da Yan Qigong skills of Qi diagnosis (vision) and therapy (Qi emission). 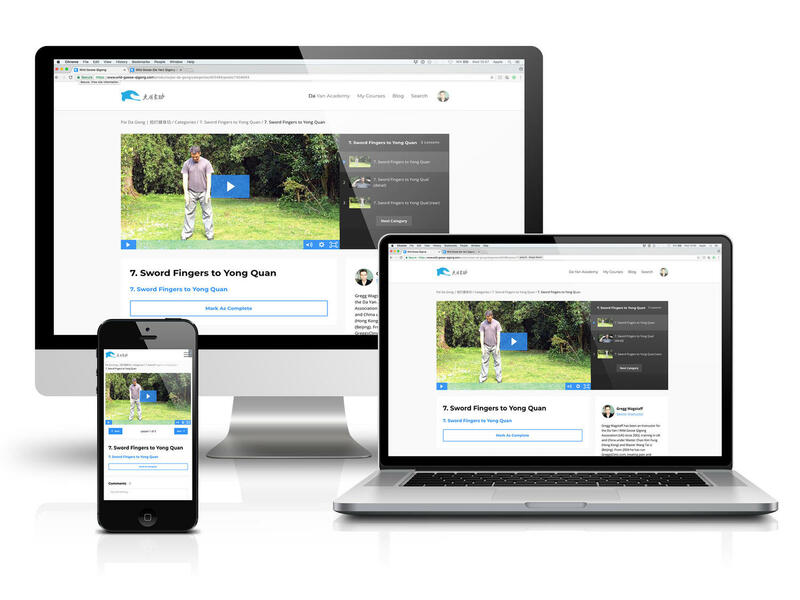 We'd like to send you more on Wild Goose Qigong, including free access to an online course! Before we do, please enter your name and best email address below. Thank you.